I love the idea of fueling the enthusiasm of New Zealanders for keeping chickens. Quite a few of us do, and a lot more of us would like to! 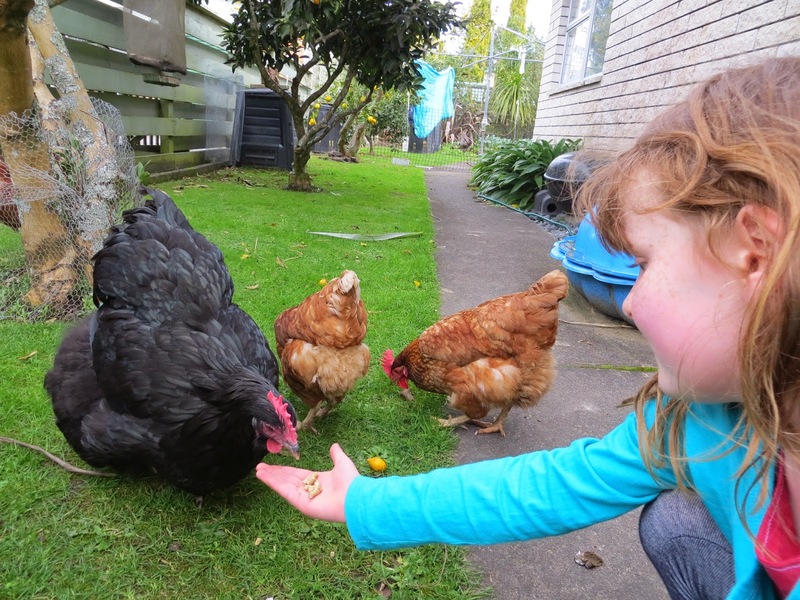 Anna hand-feeding our chickens last weekend. I've created a Facebook page called 'Keeping Chickens NZ' to bring people together. It's a place for sharing interesting chicken news, and getting fresh inspiration and ideas on all things chicken-related. I'll also be sharing my chicken blog posts there. You can look at it even if you don't belong to Facebook: click here to see it. I've just shared a video of a little boy cuddling a chicken on it - it's divine. I wish my chickens would do that!